The very first exposure that I have in terms of moisturizer is when I suffered acne. It was actually in my Youtube video and I shared how the Celetque Moisturizer helped in keeping the hydration on my face thus providing a better control on my spreading acne. Now I have better looking skin and I am very much happy. 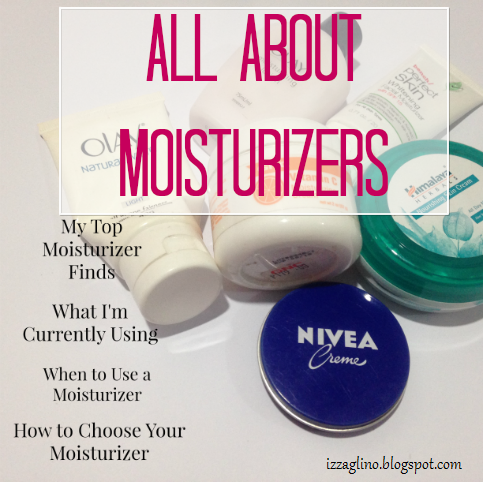 The best moisturizer should do more than just hydration. It should repair the dull skin, give sun protection and even at night (if you are fond of day and night skincare routine) can provide moisture and nourishment. I get questions whether what moisturizer is better to use and since I can’t fully recommend a product to you guys as it all boils down to the hiyang factor, I will just give you an idea for the moisturizers I’ve already used and I am currently using. I will also share my short views and opinion. I bought the Bench Perfect Whitening Kit just for the sake of trying. The Bench Perfect Whitening Moisturizing Face Moisturizer is very good for those who are in the budget. It has SPF 15 and it dries faster so if you are on the go then you can apply makeup right away. It also doesn’t feel heavy or greasy on the face. Here are the other reviews I created in regards to the Bench Whitening Perfect Skin Kit. 2. Olay Moisturizing Lotion with SPF. I never had a chance to review this but I love this so much. It is a great day moisturizing lotion as it gives protection from the sun too. I used this for the longest time during the summer season about a year ago and I just love how this make my face look nice… I feel like I have a tinted moisturizer with me because it refines my pores and leave me with softer skin. I tried this one recently and I do find this as a great find too the price is almost similar to the other Olay moisturizer. I love the fact that it looks thicker but when you spread it on the face it just feels light. This has no SPF though. Thanks’ to the sale event in Landmark during the October Beauty Fair I was able to discover the benefits of Nivea Crème. I was also encouraged on trying other Nivea products and I actually reviewed quiet a lot. This is way thicker moisturizer so I love putting this at night time instead of day. I just love how this dries slow but the moment I wake my skin feels so smooth. What I like about this Vitamin C cream is that it works so well in giving you a younger and brighter skin. It provides moisture, it works on the pores, it gives the highest moisture ever and works natural way. I stopped using this one for I tried other moisturizers but I do want to go back to the GNC Moisturizer and I might buy soon so I can further share the beauty of this product. Himalaya Herbals Nourishing Skin Cream All Day Moisturizing. When I tried the Himalaya Herbals Lip Balm I got very curious with the other Himalaya Herbals products and this All Day Moisturizer is one of them. If you missed the complete review then just click this LINK. This is also part of my February-March Monthly Favorites!!! Price. I am always a look out for the price so if the product is too pricey I don’t really buy it. I always follow my budget when it comes to products. Smell. Since this can be the last item in your skincare product you might want to choose a moisturizer that has no weird smell. For me if the product smells foul then I don’t buy it at all. Irritation. If the store has tester then try putting some of the product at the back of your hand. Wait for some minutes to know if the product has contents that can irritate you. The Feel. You might also consider want to consider when you will put the moisturizer so that you can choose for the right feel of the product. Heavy moisturizers are best used at night while a lighter moisturizer with SPF content can help you during the day. I use moisturizer twice a day, one in the morning and one at night. Sometimes I get lazy at night really skip it. My best tip is to put the product on your freshly washed face or after toner… just make sure that the surface is a little wet first. Why?! Look at how sponge are… if the sponge is dry the cream may find it hard to go to the sponge meanwhile if the sponge is wet when you put any cream it gets absorbed easily. I do hope that this post helped you. If you haven’t followed me on Facebook then I encourage you to do so. My Facebook page is Izza Glino Full or you can also add my RSS Feed so that any updates on this blog will be sent to your inbox automatically.